1. 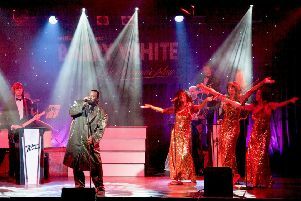 Let The Music Play – A Celebration of Barry White. 2. Stuart Goldsmith – End Of. Friday, March 29. End Of. 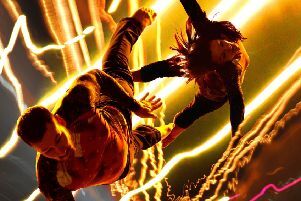 £11.50, 7.45pm, The Hawth studio, Crawley, 01293 553636, www.hawth.co.uk. Comedian Stuart Goldsmith returns with a comic odyssey about how it works out in the end, and whether anyone cares. This is intelligent stand-up for everybody, but it’s of particular interest to people over 30 who have lost touch with their old friends and can’t eat just one pain au chocolat. The show features ultimates, absolutes and surprisingly few conclusions. 3. Jackson Live In Concert. Saturday, March 30, 7.30pm, £23.50, The Capitol Theatre, Horsham, 01403 750220, www.thecapitolhorsham.com. Jackson Live in Concert features the hugely talented CJ recreating the Michael Jackson experience with his astonishing renditions of all the hits. CJ is one of the most experienced and dedicated Michael Jackson tribute artists in the world, perfectly capturing the look, the moves and the voice. The concert features live musicians, dancers and fabulous costumes. April 2-3, 7.30pm, £18.50, The Capitol, Horsham, 01403 750220. In 1954, Tony Hancock burst onto the airwaves of the BBC Light Programme with a comedy show unlike anything the British public had heard before. Playing a less successful version of himself and surrounded by a cast of fellow comedy greats including Sid James, Hattie Jacques and Kenneth Williams, Hancock’s Half Hour was one of the first programmes in the genre we now know as sitcom. Written by young up-and-comers Ray Galton and Alan Simpson, who later went on to create Steptoe and Son, Hancock’s Half Hour redefined radio comedy and has had people laughing non-stop for the past 65 years. Now, 65 years after its first broadcast, Apollo Theatre Company, who recently produced the UK tours of The Goon Show and Round the Horne, bring the show to the stage for the first time. 8. Solid Silver ’60s Show. April 3, £35, 7.30pm, The Hawth, Crawley, 01293 553636. Peter Noone, Brian Poole, Dave Berry and Vanity Fare. Bourne Again. The Hawth in Crawley is offering the chance to travel back to the 1960s during an evening of classic hits performed by the original hit makers. 9. Julian Dutton in Do You Think That’s Wise? Thursday, April 4, 7.45pm, £15, The Capitol, Horsham, 01403 750220. An affectionate tribute to one of Britain’s best-loved comedy stars. Impressionist Julian Dutton (BBC1’s The Big Impression) brings to life the man behind the wry smile and urbane English repartee that charmed millions and turned John Le Mesurier into a household name as Sergeant Wilson in Dad’s Army. centre.co.uk, 01273 464440. Richard Durrant returns to the Ropetackle Arts Centre with an unplugged and unamplified recital that’s performed in the round at his favourite arts venue. The concert features a selection of some of the world’s most famous guitar solos. Find out more about Richard’s music at www.richarddurrant.com. Four of the best family-friendly events in West Sussex. Click here to read more.